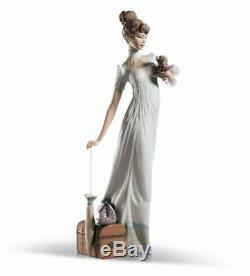 LLADRO TRAVELING COMPANIONS WOMAN FIGURINE - 01006753. Sculptor: Regino Torrijos, Release year 2001. Dimensions: 34 x 13 cm. Always leave a telephone number for the courier. Use the checkout when shopping is done.